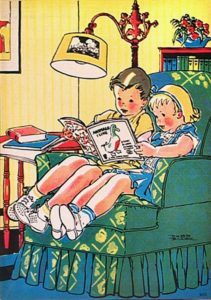 Gladys Hunt shares some tips for encouraging early literacy in young children in this latest post. 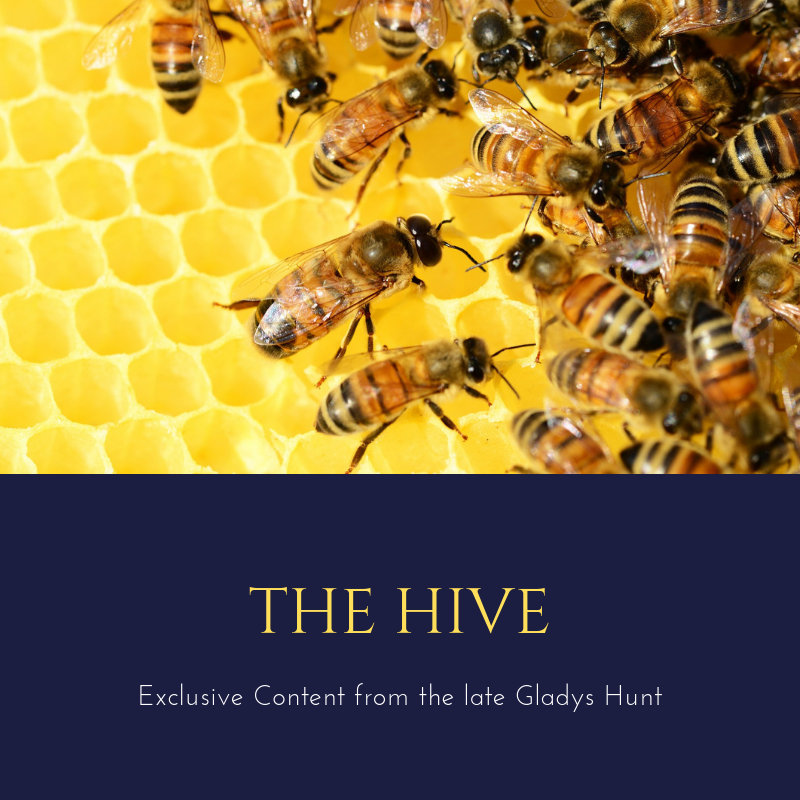 For more in our Gladys Hunt series, see The Hive. Please note: the title for this post was created by Redeemed Reader since Hunt didn’t title it. Preschoolers develop an awareness and an interest in reading at different times. A child’s brain, eye-coordination and curiosity is an individual matter of maturity. One child may want to learn the alphabet at age two, and another may not be interested until age four and a half. Don’t judge intelligence by early or late maturity. Be patient and encourage. The National Institute for Literacy has developed a checklist for parents of preschoolers who want to encourage reading, particularly aimed at ages four and five. Here’s their list for your consideration. I introduce new words to my child, like “bow” and “stern” for the front of a boat and the back of the boat. I talk with my child about the letters of the alphabet and notice them in books, like “c” for canoe. I point out signs and labels that have letters, like street signs and foods in the grocery store. I encourage my child to find joy and fun in reading. Usually, I let my child choose which books we will read. I let my child pretend to read parts of the book when we read together. I talk with my child about stories and make connections to things that happen in our lives. I ask “what,” “where,” and “how” questions when I read with my child to help him follow along and understand the stories. I help my child write notes and make books (like an alphabet book), even if his writing only looks like scribbles or marks. For more information from this source, access www.nifl.gov. Good stories give us lots to talk about. Part of the value of reading aloud to your child is the social interchange in the conversations that come from the book. That’s why asking questions about the story is a good idea. You may end of up with a really creative child, like one of our little boys who knew his alphabet letters, but didn’t want to put them in the right order. Why was that important? Answering him was a challenge. He was hardly interested in the concept of “filing” or the dictionary! But if you can ask questions, so can he—and it may be questions that make you think—like the one he asked. From Redeemed Reader: Even though it may look like we review mostly books for older kids, we have a lot of resources for your soon-to-be-readers! Check out our ABC Books booklist, The Beginner’s Gospel Story Bible, The Garden, the Curtain and the Cross, and Three Recent Board Books. There are more picture book lists in our upcoming Redeemed Reader Companion! Gladys Hunt wrote these blog posts for Tumblon.com, a web app that helped parents understand children’s development. Graham Scharf, one of the co-founders of Tumblon, has granted permission for these posts to be published here to achieve Gladys’s aim: for children and their parents to explore and enjoy great books together. Please note: all affiliate links benefit Redeemed Reader and help us continue to offer opportunities like this!